So I just installed the latest Kali Linux on my laptop which was based on Debian 7 (oldstable). I then dist-upgrad-ed the whole thing to Debian 8. 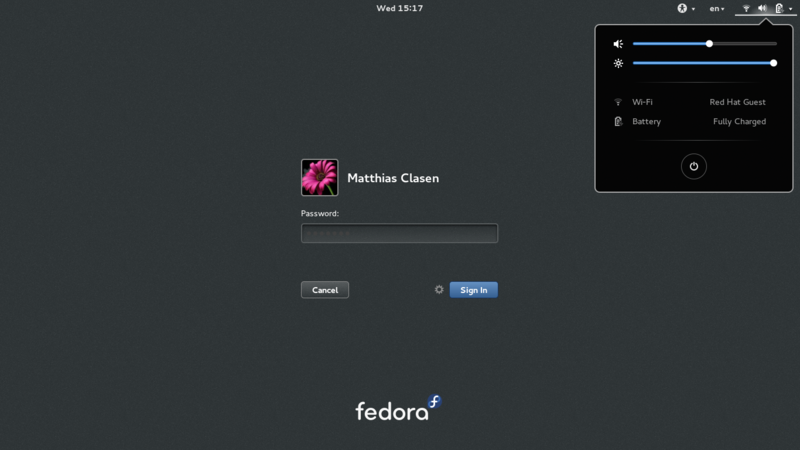 I can boot to Gnome on Wayland or LXDE (among others). The previous with very limited success and the latter (LXDE) almost perfectly, though the panel needs setting up (I have to look up freedesktop). Anyways, in LXDE, the GUI is more responsive than it was on the oldstable and possibly as fast when it was running windows 7. I was pleased. But I want to know if this is because of all the library/module upgrades from Debian 7 to 8 or from using Wayland (if I really am using Wayland at all). I skimmed through htop and found a /usr/bin/Xorg running and no process named "wayland". So which one am I currently running? Use the one corresponding to your user name. How to know whether Wayland or X11 is being used? You can additionally pass --value to drop the Type= prefix. (try to) Run the command 'r' in the Alt+F2 menu. It will restart the environment in Xorg (without losing windows and processes) but in wayland it will give the message "Restart is not available in Wayland". No, I've noticed a pid called Wayland in htop, when I've switched to Wayland for giggles. Unless it's changed that's what one should see. Update: Here is a screengrab showing Wayland process. You could run the xdpyinfo command. It gives information about your current X11 server (and display). It would fail if you don't have one (e.g. in a pure Wayland setting). The above is not really very clean but it works. You can further pipe it to a file and then use vim to navigate. The -B flag stands for before and helps to print the binary name. You could check this for more details. This answer adapted from this question. Not the answer you're looking for? Browse other questions tagged linux x11 wayland or ask your own question. Linux distro running entirely on Wayland (no X11)? how to move to wayland from xorg in antergos gnome? Where to find “Rosetta Stone”-style comparison of X11 and Wayland command-line commands and concepts? Why do GNOME randomly starts on Wayland or X11?